So Dr. Douglas – after 20 years – spent his first Christmas out of government, ie in opposition. Frankly, he is in the right place for the moment. It would be good if by Christmas 2016 he gracefully retired. The Nation can do without such a nuisance in the parliament. Santa came early in 2015. Denzil Douglas and his posse made every effort to make our Christmas and Carnival miserable. 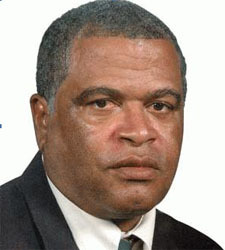 Denzil Douglas still cannot “simmer” down in opposition. Somebody needs to tell Dr. Douglas to “simmer down, simmer down”. To do what he is known to ask others to do. There was clear malice in the effort to hamper Carnival. When one considers the amount of things that happened while Labour was in office, it is clear that Kittitians are prepared to take “knock bout” from Labour. For any other party everything is a problem and a boycott is to be applied. For many years performers were not paid or paid in September/October the following year. There is clear evidence of Labour interfering in the results of many shows. Yet the Carnival went on, there being no boycott or request to boycott. The big success of Carnival has made many persons upset. They have gone to the point of cussing people like Ashley Allers because they did not want him to take part in the event. Such persons are to be complimented because St. Kitts & Nevis is bigger than political parties. Compliments are to go to Mrs. “EK” Flanders. While malice and irresponsibility were peddled on a radio station, she took the time to clear the air. In the end her hubby was what he deserved. Certain popular Soca performers could not put away their politics. Efforts were made to hamper the festival. The crowds that took part told the tale. More than the average number of citizens and visitors came to St. Kitts. All who tried to hinder Carnival were forgetting a simple hard fact. Whenever Labour is out of power the December activities are usually “bigger, sweeter and freer”. With Denzil Douglas out of power, that alone had to make the festival nicer. Even though he squandered the SIDF money Labour could not “mash up” the events. What if a fraction of the 1.4 billion were available? However, the sponsors came up to the plate and made significant contributions. The show had to go on and the party poopers were left with their mouths open, some audibly expressing their disappointment and defeat. 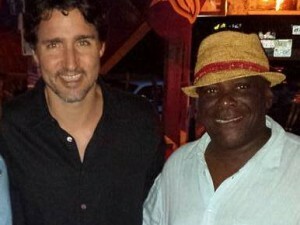 The Carnival and Christmas were so good that Trudeau Jr., present Prime Minister of Canada came to St. Kitts-Nevis for a vacation. He wanted a piece of the action. This looks good for the Federation and the return of non-restricted, Moghaddam – Free travel to the maple leaf country. Jr. Trudeau would not have come here if the people/person who gave Moghaddam the passport were in office. He might have sent the RCMP, Royal Canadian Mounted Police. Even Jr. Trudeau seems to be enjoying seeing the back of the Douglas’ brand of Labour. Part of the success of the festival lies in the judging of events. In the past under Douglas’ Labour the judging left a sour taste in the mouth of the public. It led to many persons vowing not to go back to many of the shows. At the end of it though, these same people again supported Carnival – did not boycott. The results of the major shows were widely accepted by the general public. While Dr. Douglas found it bitter or was bitter because Nevis got a fair share, the general public was happy that our siblings did so well – Astro and the Haynes Smith queen. No calypsonian was given an airplane ticket and assured the crown. While calypsonians who supported PAM were eliminated, those who back Labour advanced. I know some persons missed the pork barrel money that they grew accustomed to. Congrats to Noah Mills and Shawn Richards on their first effort at taking care of Carnival. Indeed there is a need for a post mortem. For “green horns”, certainly their efforts were as good as those who were there for years. The critics are to be faced with the basic fact. In part considering the impediments and the attempts at sabotage, these men are to be complimented. As to success, the crowning moment will be when the accounts are made public. The previous committee never found it a need to enlighten the public as it relates to the finances of the festival or festivals. In all of this those who called for a boycott or attempted to sabotage Carnival did not call for the resignation of these people and the “blocking” of Carnival. The 2015 – 2016 festivities were a success. Success to such an extent that the effects of the weather did not severely limit or affect the show. Though it rained, it did not rain on the parade. Even Dr. Douglas enjoyed himself.